Nothing can compare to the army of reporters, camera crews, and engineers NBCUniversal has mobilized in Sochi for its exclusive coverage of the XXII Olympics, but the sea of sports fans the company invited to the Newseum on Friday evening for a lavish Opening Ceremony celebration was certainly a worthy facsimile. 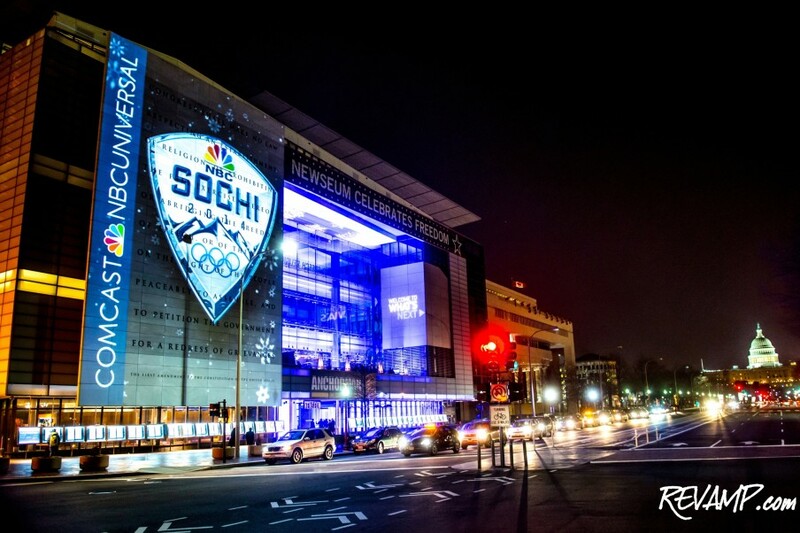 Together with parent company Comcast, the broadcast giant hosted a 'no expense spared' party for Washington VIPs designed to highlight the sizeable resources it has thrown behind the 2014 Winter Games. 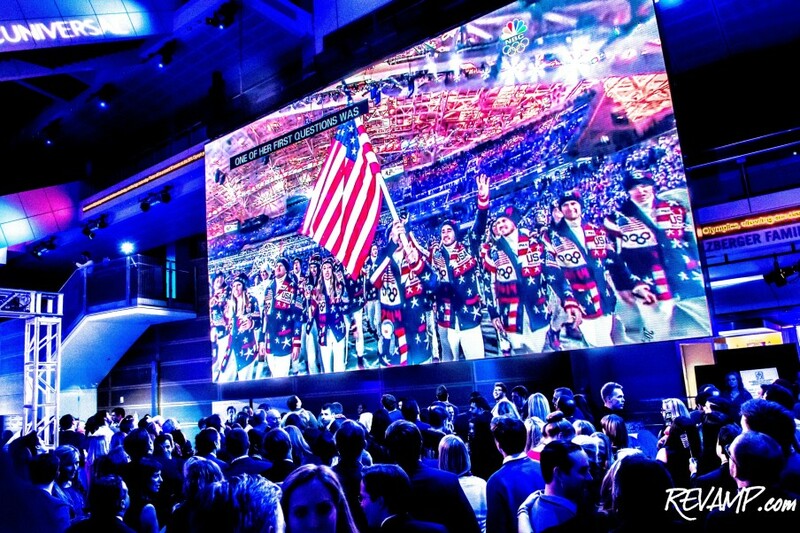 Beyond the opportunity to watch the network's primetime opening ceremony coverage on arguably the largest TV screen in the city, however, guests were treated to a far more immersive good time. A half dozen or so former Olympic athletes mingled amongst the crowd, which included plenty of on-air talent and even the Russian ambassador, regaling them with firsthand accounts of competition. And the Entertainment Software Association had setup a sprawling video game lounge that allowed attendees the chance to play a variety of Xbox One, Playstation 3, and Wii U games (e.g., 'Mario & Sonic at the Sochi 2014 Olympic Winter Games'). For those actually interested in testing their physical mettle, a curling sheet had been setup on the first floor of the museum. The game served a dual purpose as both a fun winter exercise and as a way to burn off some of the calories consumed via the hot chocolate and American comfort food stations. With the night being a celebration of the 2014 winter games, event organizers were also quick to encourage guests to 'step into the cold' with a special 'Fire & Ice' offering that paired a make-your-own s'more fire pit with a chilled vodka bar. 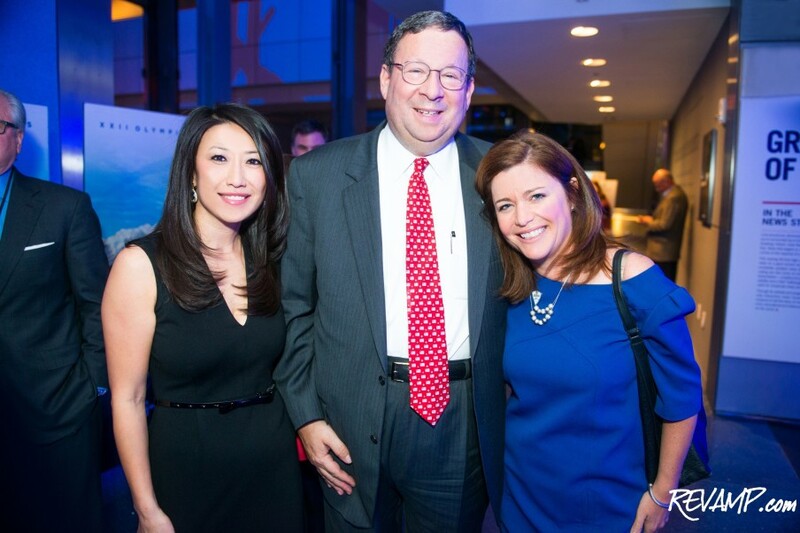 Be sure to check out all of our photographs from this event HERE!